To keep the mailbox update, Opera Mail makes use of one database. The inbox messages are automatically sorted on the basis of date, sender and other required fields. The most acknowledged aspect about Opera Mail is its spam filtering feature, a contact manager and specialized support for POP3 and IMAP. Loading subject to Java platform. Plug-ins, Extensions and Widgets are malfunctioned. 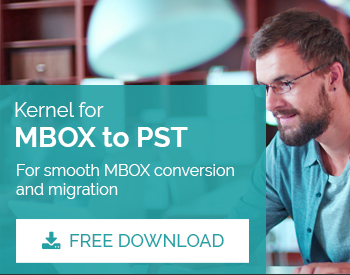 Launch Kernel for MBOX to PST. 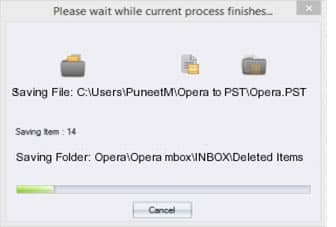 Select Opera Mail MBOX client from the given clients. 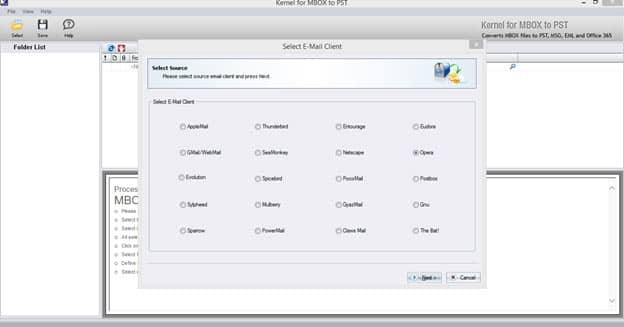 Add Opera Mail MBOX files using ‘Add File(s)’ destined to be converted to Outlook PST. If required, the files can be removed using ‘Remove File(s)’ button. Once done, click ‘Next’. 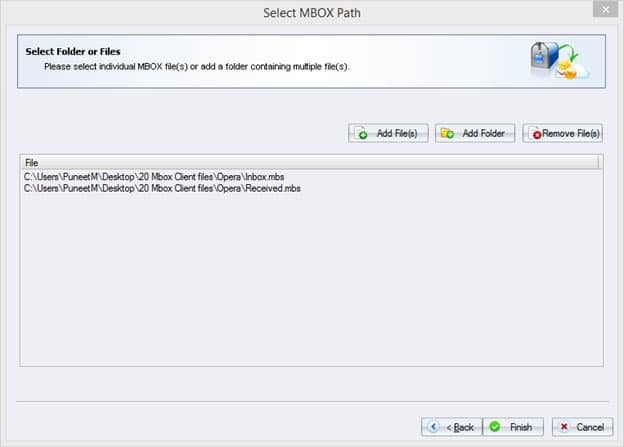 A window with detailed profile of selected MBOX files will appear. 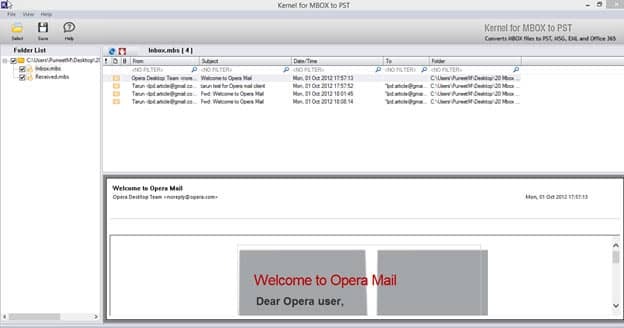 To save the detailed Opera Mail MBOX data displayed on the screen click ‘Save’. After clicking ‘Save’, a new window with different conversion option will appear. 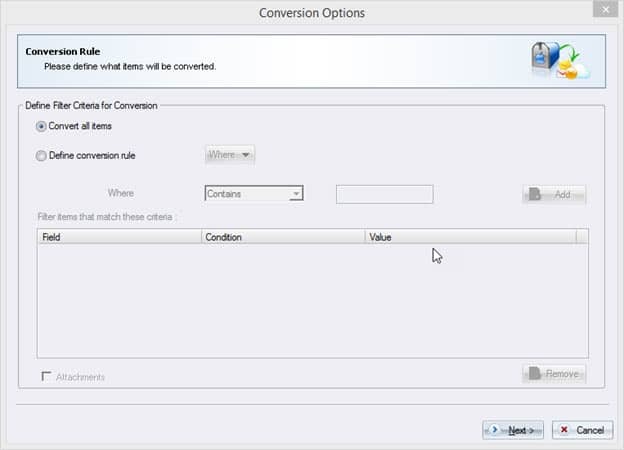 To convert all MBOX items, click ‘Convert all Items’ and to convert the concerned Opera Mail MBOX files, a user has to make some selection criteria. In such case click ‘Define Conversion Rule’. In ‘Define Conversion Rule’, a user has to select different fields from the ‘Where’ drop-down menu. ‘From’ field is filled with the value like Name, place or other identity. Similar to the ‘From’ field, provide the required specifications in the ‘To’ field. Similarly provide the required details in the ‘Subject’ field. ‘Date’ field simply consists of date range in which the probability of finding the concerned MBOX mail is possible. Specify the date range. Once every field is filled, click ‘Next’ to proceed for saving the MBOX files to PST. 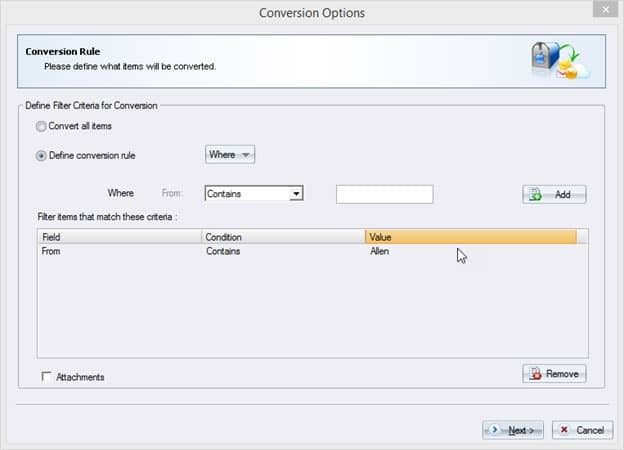 Select ‘Save in PST’ option so that Opera Mail MBOX can be saved. It consists of ‘Save in PST’, ‘Save in EML’, ‘Save in MSG’ and ‘Save in Office 365’. 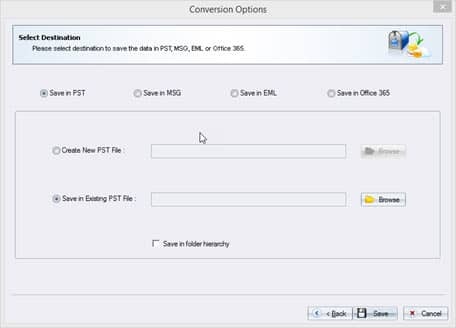 Once done, select the option from the given choices ‘Create New PST File’ and ‘Save in Existing PST File’. When new PST file is created, a user has to provide the PST file path destination using ‘Browse’ button. If user chooses to select ‘Save in Existing PST File’, then the location of the pre-existing PST file must be provided using ‘Browse’ option. 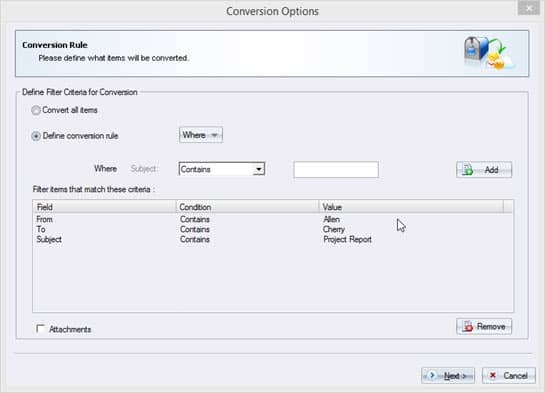 On completion of the process the message of successful conversion will be displayed on the interface.